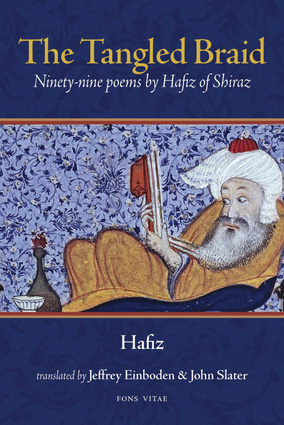 Hafiz was a professor of religious studies and a poet. Jeffrey Einboden is an assistant professor at Northern Illinois University and the author of Composing a Persian Letter: Simin Daneshvar’s Rendition of Hawthorne and Washington Irving in Muslim Translation: Revising the American Mahomet. He lives in DeKalb, Illinois. John Slater is a poet who has been published in Brink Magazine, Drunken Boat, and Queen’s Quarterly. He is a Cistercian monk and is pursuing a graduate degree in theology at Catholic University of America. He lives in Piffard, New York.